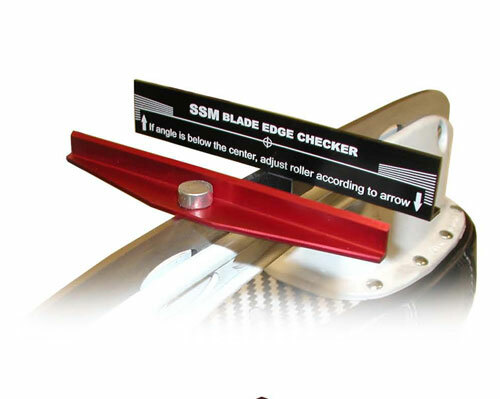 This tool allows fast checking if you have even edges underneath the skate blade. You attach both parts as pictured. If the outer edges are even, then the part that is lying on the skate blade edges will be parallel to the line on the other part. Otherwise the edges are uneven. Now built with a hardened layer to improve strength and durability! 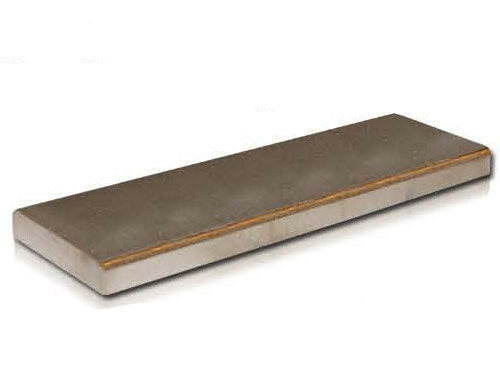 BEC is standard tool to check left and right edges to ensure they are square. 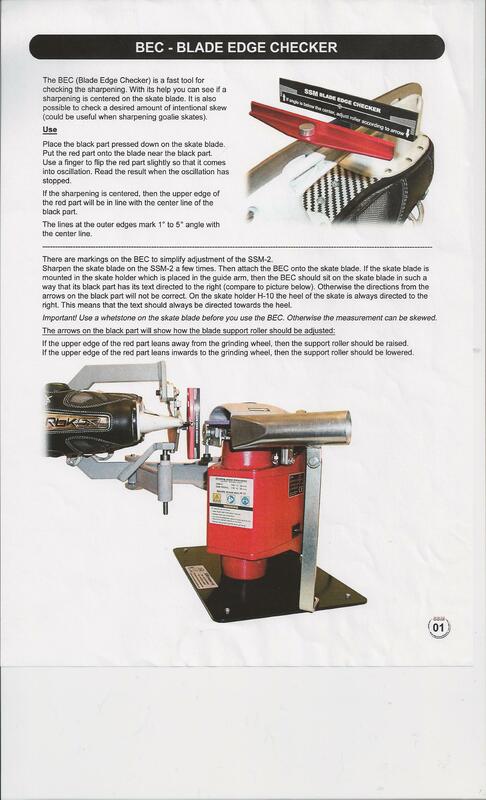 The BEC can be used prior to sharpening to see the condition of blade. Knowing this helps read ‘witness mark’ taken when lining up roller support assembly height. 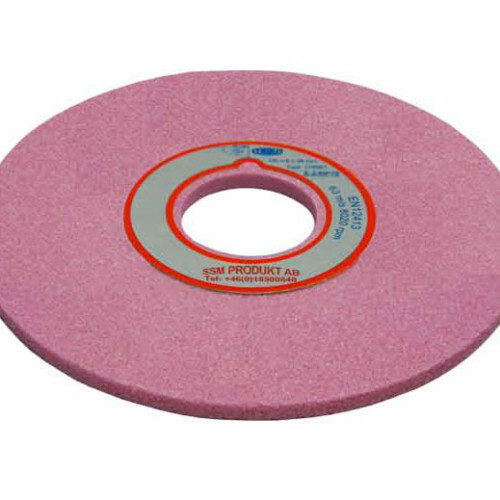 It is primarily used to verify that the left and right edges are even after sharpening. Diamond hand hone. Precision tool. Handle with care! 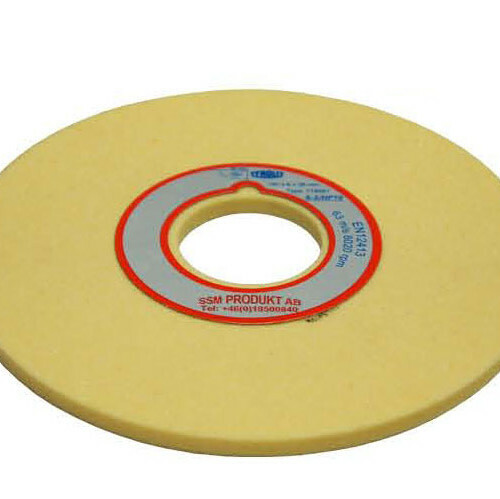 This grinding wheel is for all types of skate blades. S-4/KB60 is to be used on a SSM PROFIL. This new high performance wheel works excellently on all types of skate blades. S-2/HP70 is to be used on a SSM-2. 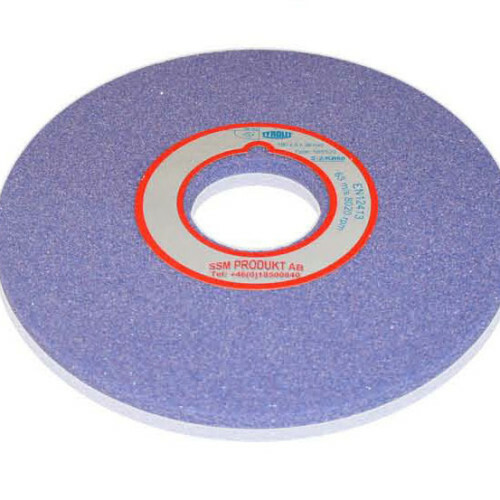 This standard grinding wheel is primarily for skates with a skate blade of carbon steel. S-2/60 is to be used on a SSM-2. 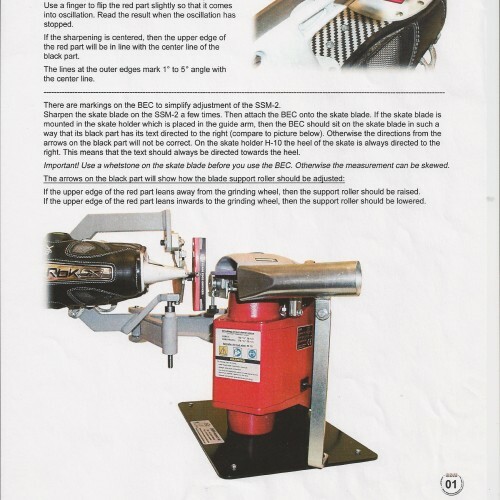 Note: All products Listed in the Catalogue are available thru SSM of NA as well as replacement parts etc that may not be listed in this section or the catalogue. Please contact SSM of NA for any questions that you may have or for more detail regarding any SSM product.